1つのＰＳＤでボールを見つけて取るのって結構難しい It is difficult to find and grab a ball by only one PSD. ライントレースでボールが散らばるエリアまで行き、ＰＳＤによってボールの探査、確保します。ボールを確保した後、色を判断しゴールに入れます。 This robot go to the area where balls are scattered by line trace. 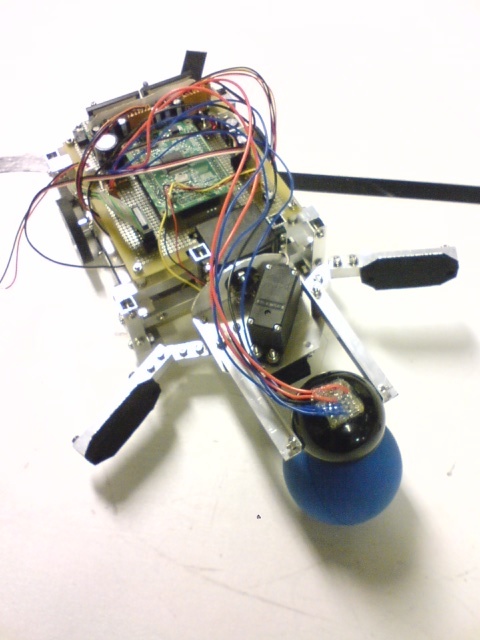 And then, robot will search a ball by PSD and grab it. After that, separate a ball by color and shoot it in a goal.